Well, the day has finally arrived! And a bit early, too. Over the last several months, I’ve been figuring out what to do about my astrophotography. Plain and simple, I can’t do what I want to do without a tracking mount of some kind. I’ve been able to get some mediocre results with just my 600mm lens and my standard photography tripod, but I have wanted to do more. I’ve actually wanted to get into long-exposure astrophotography for a very long time, many years. I loved astronomy as a young kid, and was into the night sky long before I had a DSLR for bird and wildlife photography. I finally settled on what gear to buy to take my night sky visions beyond the moon and a few dim images of nebula. A couple weeks ago, I ordered an Orion Atlas EQ-G german equatorial tracking mount (computerized GEM or tracking GEM). Unlike your average photography tripod, a GEM is huge. 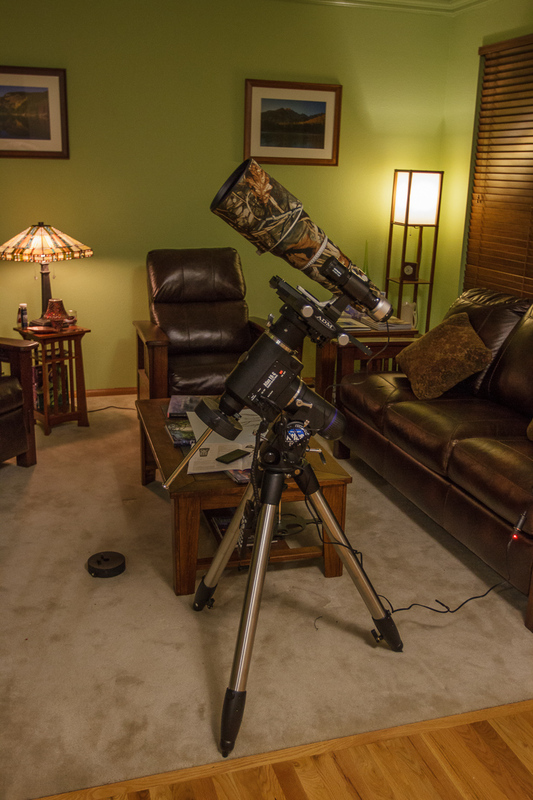 The whole setup without a telescope attached is 54 pounds. 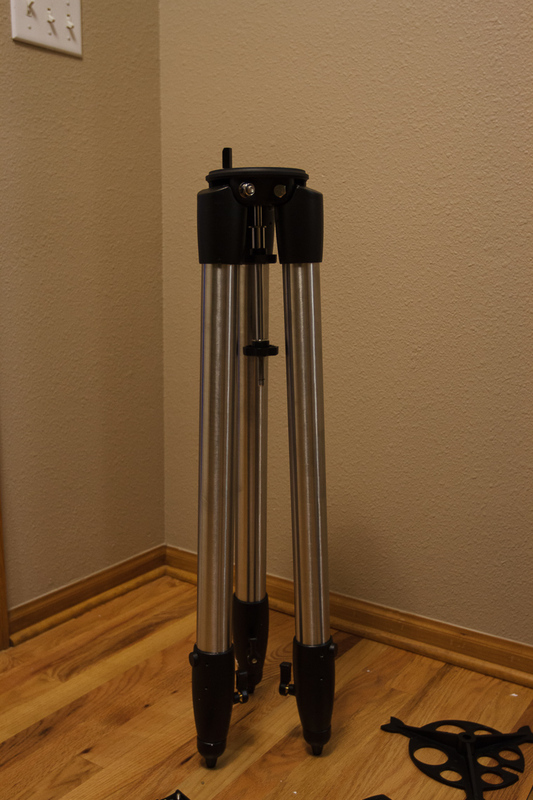 The tripod is quite massive, with 2 1/4″ aluminum tubing that makes my already rather large Gitzo GT3532LS look kinda small. The Atlas EQ-G equatorial head itself is quite large. Large, but very solidly built, smoothly operating, and more than capable of handling telescopes up to 8-10″, and certainly the “telescope” I’ll be putting on it. For my telescope, I intend to use none other than my big 600mm lens! As it turns out, from an optical quality standpoint, the Canon EF 600mm f/4 L II is about as good, and just as costly, as other high end, high quality apochromatic refracting telescopes. For comparison, the Officina Stellare Hiper APO 152 is one of the higher end aopchromatic refracting telescopes that has a similar aperture (152mm diameter, vs. my lens’ 150mm diameter). The Officina 152 lists for $11,928, right in the same ballpark. The Officina scope offers a few additional perks that are better suited to astrophotography, such as the ability to control internal air turbulence, support for advanced focusers with laser collimation, and some wicked high end materials like carbon fiber for the tube walls. Those perks allow you to maximize the potential image quality you can extract from the night sky…however there are other scopes with much larger apertures that can do even better, for much less. A high end Astro-Tech 12″ Truss-type Ritchey-Chretien scope sells for about $4500, offers twice the aperture, and uses the same high end Ritchey-Chretien cassegrain design that many of the huge 8-10 meter professional telescopes around the world use, and the same design that most 18-28″ telescopes used by private institutions and universities use. In the short term, as I’m learning how to do long exposure astrophotography of deep sky objects (galaxies, nebula, star clusters, etc. 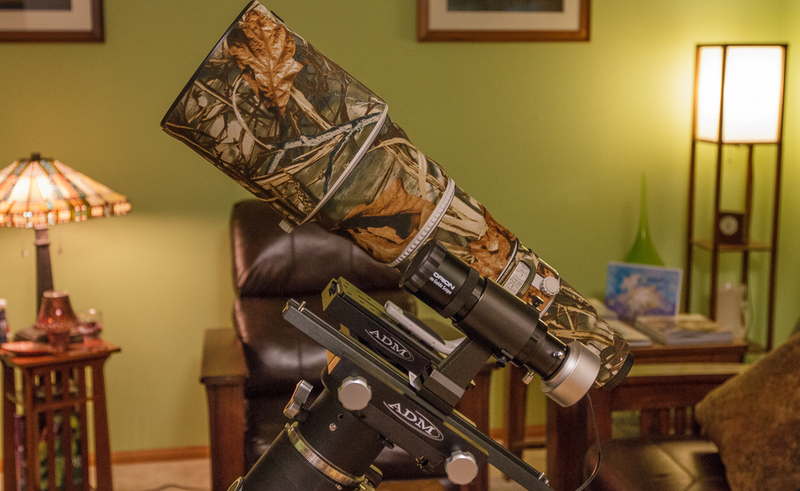 ), my 600mm lens should serve as a superb and very high quality telescope. It lacks some of the features that are quite handy on true telescopes, but I don’t believe I’ll need such features for a while. When I do, there are a number of options in the $1200-$2000 price range that will give me more capabilities. Apparently, a sort of right of passage when you buy any telescope equipment is that the sky clouds over, and you have to wait, tongue-biting, often for weeks, until the sky clears at night so you can actually get outside and start using your fancy new equipment. Well, seems as though I’m going to be biting my tongue for the next couple weeks at least before we get clear skies for an extended duration at night. I will need at least a few hours to get my setup aligned with the north celestial pole, fine tune that alignment, and start learning how to image a DSO. Such a night is not due to come along until some time in March given long term weather forecasts. So, until I have a chance to actually do some real imaging, here are some pictures of the new equipment, and my lens configured as a telescope!